The United Kingdom Minister for Trade Policy, George Hollingbery, said this while briefing ACP Trade Ministers on Brexit. 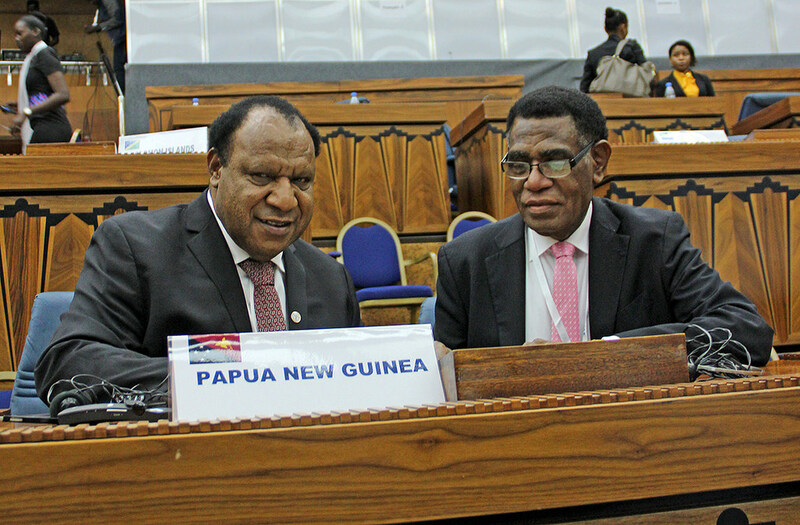 PNG was represented at the October 25th meeting by the Papua New Guinea Ambassador to ACP and EU, Joshua Kalinoe. At the meet, Hollingbery advised Ministers that UK will honour the existing Economic Partnership Agreement that ACP countries have with EU. Accordingly, priority for UK is to work with existing parties to trade under the current EPA until similar Agreements are negotiated and implemented after 2021. Soon after the briefing, Ambassador Kalinoe met with Minister Hollingbery to exchange views on the current work by officials from UK and PNG to negotiate a similar EPA with the one that PNG has with EU. They noted that trade officials from PNG and UK will meet at the margins of the ACP-EU Joint Trade Ministers Meeting in Brussels to continue the dialogue. According to the European Commission, the Economic Partnership Agreements, or EPAs, are trade and development agreements negotiated between the EU and African, Caribbean and Pacific (ACP) partners. The EPAs aim at promoting ACP-EU trade – and ultimately contribute, through trade and investment, to sustainable development and poverty reduction.